Commonwealth Education Ministers have gathered in Fiji to discuss current education challenges across the Commonwealth. The 20th Commonwealth Education Ministers Conference (20th CCEM) is the first conference since the adoption of the Sustainable Development Goals (SDGs) and much of the focus will be on identifying effective strategies to enable member states to achieve SDG 4 – inclusive and quality education for all. Ministers will also collaborate with the wider education community at the Integrated Partners Forum (IPF). The forum provides an opportunity for education professionals, youth representatives, teachers and civil society groups to meet and engage with ministers and policy makers. 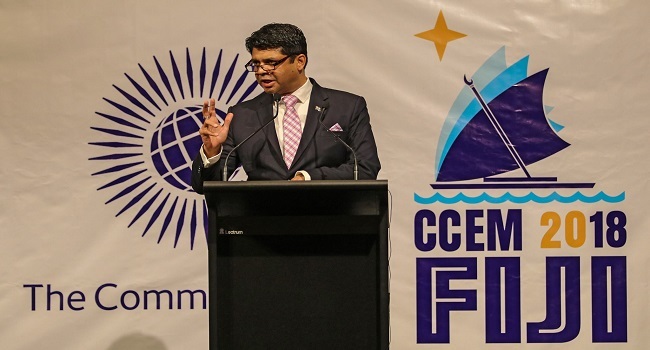 As a member of the CCEM Steering Committee, the Consortium has worked with government and civil society partners in Fiji and internationally to lead the design and development of the IPF programme. The theme for the conference is Sustainability and Resilience: Can Education Deliver?